In Defense of Harold Bloom? Jim Downs is an assistant professor of History and American Studies at Connecticut College. His books include Taking Back the Academyand Why We Write. His forthcoming book, Sick from Freedom: The Deadly Consequences of the American Civil War, will be published by Oxford University Press. He also has a blog on the Huffington Post. Let me begin by stating at the outset that I do not agree with Harold Bloom’s ideological construction of the Western Canon nor do I support his notion that literature must be evaluated purely by its aesthetic value. I also recognize that Bloom’s positions and ideas have over the past few decades dismantled a few English departments and even derailed the careers of a number of literary scholars. If there is a discursive space in this disclaimer for a “but,” let me submit the following: Bloom is now being unfairly criticized and most of all misunderstood by a growing number of scholars, including but not limited to the recent op-ed published by Carlin Romano in the April 24, 2011 issue of The Chronicle of Higher Education. Using the publication of Bloom’s most recent book, The Anatomy of Influence, as a launching pad, Romano’s article engages in a full-scale indictment of Bloom’s career while missing the contribution of his scholarship of the last four decades. Romano attacks Bloom for producing a litany of critical editions on the literary lives of a wide variety of authors, from Aeschylus to Alice Walker. Romano further questions if Bloom can read four hundred pages a day and doubts if he wrote introductions to a number of edited volumes in the matter of a few days. Romano claims that Bloom needed money during the 1980s, so he accepted an offer from Chelsea House publishing company to stamp his name on a newly created series of literary critical editions. Romano further questions the validity of what Bloom himself referred to as “the factory” by explaining how this literary enterprise was actually the result of the work of graduate students and a full-time staff. Romano takes issue with the fact that the bulk of this work was produced by younger scholars, and fails to recognize how this enterprise may have offered many struggling graduate students and newly minted Ph.D.s with an opportunity to avoid the hustle of adjuncting; and how some of these younger scholars may have actually profited intellectually and financially from this well-known literary franchise. Yet, in general, what perturbed me about Romano’s critique is that he failed to recognize Harold Bloom as one of the most energetic scholars of the last century. Despite disagreeing with him intellectually, I have always viewed Bloom’s massive and quite unimaginable publication record as the result of his so-called “anxiety of influence.” For Bloom, the origin of this anxiety can be traced to his childhood when he read for “lustres in Emerson phrases” and continued throughout his graduate education when he identified the meaning of influence in his doctoral dissertation on Shelley. By internalizing the work of various poets and writers, Bloom began to uncover patterns of influence that connected and linked writers to one another; this recognition culminated with the publication of his 1973 book The Anxiety of Influence that offered a “gnomic theory of poetry.” Bloom insisted on a reading literature for its so called aesthetic value; his approach to literature landed him at the center of the culture wars in the 1990s with the publication of his classic tome, The Western Canon, in which he vociferously articulated a disdain for ideological approaches to literature, namely the employment of theories based on the then fashionable mantra of race, gender, and class. While I question Bloom’s idea of “aesthetics” and fiercely disagree with his disavowal of many writers who entered literary studies because of the herculean efforts of mostly African-American, women, and Marxist scholars to uncover marginalized writers and to offer provocative and meaningful ways to read literature, I nevertheless admire how Bloom internalized literature. He lives with these writers, in his mind, in his writing, in his teaching, and in his life. It is no surprise that he produced such an infinite encyclopedia based on their work: his publications are a concrete byproduct of his prodigious imagination. He describes himself as a “desperate reader.” In an interview with Brian Lamb in 2000, he explained his desperation to read “everything and anything.” In the morning, he explains, “my wife is likely to find me obsessively re-reading cereal box tops.” Therefore, to frame Bloom as a greedy capitalist, who pimped out his graduate students in order to make more money misses the point of how literature constitutes Bloom’s very being in the world. I often understood Bloom’s anxiety as a result of the unruly dialogues that often play out in his imagination. He can brilliantly draw connections between writers and trace their genealogical influences in impressive and unimaginable ways. To reduce Bloom to the guardian of aesthetics and the vociferous critic of multiculturalism is to actually miss the point yet again of his work, and not see how Bloom’s “anatomy of influence” is actually rooted in an intellectual anxiety that results from an unruly dialogue of writers that takes place in Bloom’s mind. Romano, for example, criticizes Bloom for evaluating writer Zora Neale Hurston, author of the early twentieth-century novel Their Eyes Were Watching God, in the context of Nietzsche. Instead of applauding Bloom for placing these two thinkers in a provocative and surprising dialogue, Romano claims this assertion makes no sense, and further contends that by making such a claim, Bloom is “trapped behind elite Europhile glasses.” Romano misreads Bloom and even Hurston in this vitriolic attack. Hurston biographer Deborah G. Plant, a literary scholar in the Africana Studies Department at the University of South Florida, argues in her book, Every Tub Must Sit on Its Own Bottom: The Philosophy and Politics of Zora Neale Hurston, that Nietzsche, in fact, shaped Hurston’s notions of introspection, which influenced Hurston’s character development in Their Eyes Were Watching God. We should not condemn Bloom for placing writers in a dialogue, but instead listen to him unpack these various conversations and to explain their influence on him. Within a broader scholarly and literary context, many other scholars and writers untangle their symbiotic relationship to their subjects and struggle to “wrestle angels into song,” an expression that the poet and literary critic Herman Beavers coined to describe Ralph Ellison’s literary influence on writers Ernest J. Gaines and James Alan McPherson. Historian Perry Miller wrestled with the voices of Puritan thinkers and theologians in his Errand into the Wilderness. In his books, it is almost impossible to distinguish Miller’s voice from that of his seventeenth-century subjects. Similarly, cultural theorist Wayne Koestenbaum foregrounds his experience as a self-proclaimed “opera queen,” in an effort to explain the cultural phenomenon of how many gay men have historically been seduced by the voice of female opera singers in his book, The Queen’s Throat. Like Bloom, both Miller and Koestenbaum endure an “anxiety of influence” that haunts them, and can only be confronted through a relentless engagement with the writers and artists who they have internalized. That said, the point that bothers me the most about Romano’s attack on Bloom is that Bloom has, since as I early as I can remember, maintained a consistent and passionate argument “how to read and why,” the title of another book that Bloom published in 2000. His politics and ideas have certainly caused a revolution in literary studies—and while I do not mean to diminish the cost that some departments and scholars had to pay for his polemical perspectives—he, at the very least, produced important and valuable debates that ultimately led to more informed and comprehensive ways of thinking about literature. 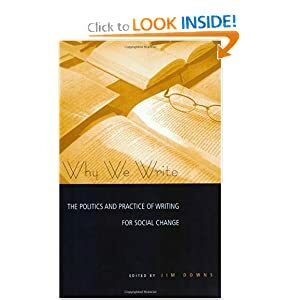 Today, the political edge that once defined literary studies and academic scholarship, more generally, has receded in the face of transnationalism and globalism, truly valuable interventions, but scholarly approaches that have remain virtually uncontested and have evolved into mere truisms rather than the radical interventions they purport to be. Bloom understands the political volatility of his ideas and he consistently stands his ground. One needs to appreciate that, even if you are not influenced by his anxiety.